The seed of the myth of Stuart Jacobite influence on the higher degrees may have been a careless and unsubstantiated remark made by John Noorthouk in the 1784 Book of Constitutions of the Premier Grand Lodge of London. It was stated, without support, that King Charles II (older brother and predecessor to James II) was made a Freemason in the Netherlands during the years of his exile (1649–60). However, there were no documented lodges of Freemasons on the continent during those years. The statement may have been made to flatter the fraternity by claiming membership for a previous monarch. This folly was then embellished by John Robison (1739–1805), a professor of Natural Philosophy at the University of Edinburgh, in an anti-Masonic work published in 1797. The lack of scholarship exhibited by Robison in that work caused the Encyclopædia Britannica to denounce it. A German bookseller and Freemason, living in Paris, working under the assumed name of C. Lenning, embellished the story further in a manuscript titled "Encyclopedia of Freemasonry" probably written between 1822 and 1828 at Leipzig. This manuscript was later revised and published by another German Freemason named Friedrich Mossdorf (1757–1830). Lenning stated that King James II of England, after his flight to France in 1688, resided at the Jesuit College of Clermont, where his followers fabricated certain degrees for the purpose of carrying out their political ends. By the mid-19th century, the story had gained currency. The well-known English Masonic writer, Dr. George Oliver (1782–1867), in his Historical Landmarks, 1846, carried the story forward and even claimed that King Charles II was active in his attendance at meetings—an obvious invention, for if it had been true, it would not have escaped the notice of the historians of the time. The story was then repeated by the French writers Jean-Baptiste Ragon (1771–1862) and Emmanuel Rebold, in their Masonic histories. Rebold's claim that the high degrees were created and practiced in Lodge Canongate Kilwinning at Edinburgh are entirely false. James II died in 1701 at the Palace of St. Germain en Laye, and was succeeded in his claims to the British throne by his son, James Francis Edward Stuart (1699–1766), the Chevalier St. George, better known as "the Old Pretender", but recognized as James III by the French King Louis XIV. He was succeeded in his claim by Charles Edward Stuart ("Bonnie Prince Charles"), also known as "the Young Pretender", whose ultimate defeat at the Battle of Culloden in 1746 effectively put an end to any serious hopes of the Stuarts regaining the British crowns. The natural confusion between the names of the Jesuit College of Clermont, and the short-lived Masonic Chapter of Clermont, a Masonic body that controlled a few high degrees during its brief existence, only served to add fuel to the myth of Stuart Jacobite influence in Freemasonry's high degrees. However, the College and the Chapter had nothing to do with each other. The Jesuit College was located at Clermont, whereas the Masonic Chapter was not. Rather, it was named "Clermont" in honor of the French Grand Master, the Comte de Clermont (Louis de Bourbon, Comte de Clermont) (1709–1771), and not because of any connection with the Jesuit College of Clermont. A French trader, by the name of Estienne Morin, had been involved in high-degree Masonry in Bordeaux since 1744 and, in 1747, founded an "Écossais" lodge (Scottish Lodge) in the city of Le Cap Français, on the north coast of the French colony of Saint-Domingue (now Haiti). Over the next decade, high-degree Freemasonry was carried by French men to other cities in the Western hemisphere. The high-degree lodge at Bordeaux warranted or recognized seven Écossais lodges there. However, it was known as "The Order of Prince of the Royal Secret" by the founders of the Scottish Rite, who mentioned it in their "Circular throughout the two Hemispheres" or "Manifesto", issued on December 4, 1802. Henry Andrew Francken, a naturalized French subject of Dutch origin, was most important in assisting Morin in spreading the degrees in the New World. Morin appointed him Deputy Grand Inspector General (DGIG) as one of his first acts after returning to the West Indies. Francken worked closely with Morin and, in 1771, produced a manuscript book giving the rituals for the 15th through the 25th degrees. Francken produced at least four such manuscripts. In addition to the 1771 manuscript, there is a second which can be dated to 1783; a third manuscript, of uncertain date, written in Francken’s handwriting, with the rituals 4–25°, which was found in the archives of the Provincial Grand Lodge of Lancashire in Liverpool in approximately 1984; and a fourth, again of uncertain date, with rituals 4–24°, which was known to have been given by H. J. Whymper to the District Grand Lodge of the Punjab and rediscovered about 2010. Additionally, there is a French manuscript dating from 1790-1800 which contains the 25 degrees of the Order of the Royal Secret with additional detail, as well as three other Hauts Grades rituals; its literary structure suggests it is derived from a common source as the Francken Manuscripts. ◊_ and Barend M. Spitzer, D.I.G. for Georgia. John Mitchell - Received a patent April 2, 1795, from Barend Moses Spitzer granting him authority as Deputy Inspector General to create a Lodge of Perfection and several Councils and Chapters wherever such Lodges or Chapters were needed. Born in Ireland in 1741, he came to America at an early age. He served as Deputy Quartermaster General in the Continental Army, and was the first Grand Commander of the Supreme Council. Frederick Dalcho - A physician, he served in the Revolutionary Army and was stationed at Fort Johnson. He formed a partnership in 1801 with Dr. Isaac Auld, another of the original members. He was an outstanding orator and author. In 1807 he published the first edition of Ahiman Rezon. He became an editor of the Charleston Courier, was a lay reader and deacon in the Episcopal Church, and in 1818 was ordained as a priest. Alexandre Francois Auguste de Grasse, known as Comte de Grasse-Tilly. He was born in France as the eldest legitimate son of François Joseph Paul de Grasse, a French admiral known as a hero of the American Revolution for defeating the British fleet in the Battle of the Chesapeake. He inherited his father's title, and likely had the highest social ranking of the original eleven founders. He was the youngest of the members and was named to become the Grand Commander of the West Indian Islands. After Napoleon came to power, de Grasse returned to France and resumed his military career. He also extended Freemasonry, establishing the Supreme Council of France and councils in other European cities. Jean-Baptiste Marie de La Hogue - He was a native of Paris who had lived in Saint-Domingue until the revolution there; father-in-law of de Grasse, he was a founding member of La Candeur Lodge in Charleston. Thomas Bartholemew Bowen - Was the first Grand Master of Ceremonies of the new Supreme Council. He was a Major in the Continental Army and a printer by trade. Abraham Alexander - Was one of the first Sovereign Grand Inspectors General. He was born in London in 1743, and immigrated to Charleston in 1771. He was a prominent Sephardic Jew and had been described as "a Calligraphist of the first order"; he was elected as the first Grand Secretary General. Emanuel de la Motta - A Sovereign Grand Inspector General. Also a Sephardic Jew, he was by trade a merchant and auctioneer. He was a member of Friendship Lodge and was reported to be devoted to the study of Jewish literature and Masonry. Isaac Auld - An eminent physician, associated in medical practice with Dr. Dalcho. He was a strong Congregationalist. Israel de Lieben - A Sovereign Grand Inspector General and the first Grand Treasurer General. He was born in Prague and emigrated to the United States at 21. He was known as "the liberal-headed Jew", who was "tolerant in his religious opinions" and was considered to be intelligent, enterprising, liberal and generous. Moses Clava Levy - Born in Krakow, Poland, he was a prosperous merchant, was generous and helpful to the unfortunate, and devoted to his adopted city and country. James Moultrie - the only native South Carolinian among the original members. He was a physician, and according to Albert Pike, "was one of the foremost Citizens of South Carolina". Isaac Da Costa, another Sephardic Jew, was one of the deputies commissioned to establish Morin's Rite of the Royal Secret in other countries; he formed constituent bodies of the Rite in South Carolina in 1783. 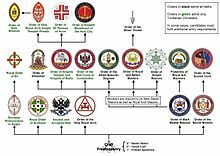 These are considered to have become in 1801, The Supreme Council of the Ancient and Accepted Scottish Rite, Southern Jurisdiction. All regular Scottish Rite bodies today derive their heritage from this body. Subsequently, other Supreme Councils were formed in Saint-Domingue (now Haiti) in 1802, in France in 1804, in Italy in 1805, and in Spain in 1811. On May 1, 1813, an officer from the Supreme Council at Charleston initiated several New York Masons into the Thirty-third Degree and organized a Supreme Council for the "Northern Masonic District and Jurisdiction". On May 21, 1814 this Supreme Council reopened and proceeded to "nominate, elect, appoint, install and proclaim in due, legal and ample form" the elected officers "as forming the second Grand and Supreme Council...". Finally, the charter of this organization (written January 7, 1815) added, “We think the Ratification ought to be dated 21st day May 5815." Officially, the Supreme Council, 33°, N.M.J. dates itself from May 15, 1867. This was the date of the "Union of 1867", when it merged with the competing Cerneau "Supreme Council" in New York. The current Ancient and Accepted Scottish Rite, Northern Masonic Jurisdiction of the United States, was thus formed. 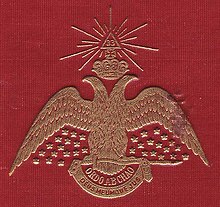 The double-headed eagle on the cover of Morals and Dogma. Born in Boston, Massachusetts on December 29, 1809, Albert Pike is asserted within the Southern Jurisdiction as the man most responsible for the growth and success of the Scottish Rite from an obscure Masonic Rite in the mid-19th century to the international fraternity that it became. Pike received the 4th through the 32nd Degrees in March 1853 from Albert Mackey, in Charleston, South Carolina, and was appointed Deputy Inspector for Arkansas that same year. At this point, the degrees were in a rudimentary form, and often included only a brief history and legend of each degree, as well as other brief details which usually lacked a workable ritual for their conferral. In 1855, the Supreme Council appointed a committee to prepare and compile rituals for the 4th through the 32nd Degrees. That committee was composed of Albert G. Mackey, John H. Honour, William S. Rockwell, Claude P. Samory, and Albert Pike. Of these five committee members, Pike did all the work of the committee. In 1857 Pike completed his first revision of the 4°-32° ritual, and printed 100 copies. This revision, which Mackey dubbed the "Magnum Opus", was never adopted by the Supreme Council. According to Arturo de Hoyos, 33°, the Scottish Rite's Grand Historian, the Magnum Opus became the basis for future ritual revisions. In March 1858, Pike was elected a member of the Supreme Council for the Southern Jurisdiction of the United States, and in January 1859 he became its Grand Commander. The American Civil War interrupted his work on the Scottish Rite rituals. About 1870 he, and the Supreme Council, moved to Washington, DC. In 1884 his revision of the rituals was complete. Pike also wrote lectures about all the degrees, which were published in 1871 under the title Morals and Dogma of the Ancient and Accepted Scottish Rite of Freemasonry. In 2000 the Southern Jurisdiction revised its ritual. The current ritual is based upon Pike's, but with some significant differences. The thirty-three degrees of the Scottish Rite are conferred by several controlling bodies. The first of these is the Craft Lodge, which confers the Entered Apprentice, Fellowcraft, and Master Mason degrees. Craft lodges operate under the authority of national Grand Lodges, not the Scottish Rite. Attainment of the third Masonic degree, that of a Master Mason, represents the attainment of the highest rank in all of Masonry. Additional degrees such as those of the AASR are sometimes referred to as appendant degrees, even where the degree numbering might imply a hierarchy. They represent a lateral movement in Masonic education rather than an upward movement, and are degrees of instruction rather than rank. In 2000, the Southern Jurisdiction in the United States completed a revision of its ritual scripts. In 2004, the Northern Jurisdiction in the United States rewrote and reorganized its degrees. Further changes have occurred in 2006. The current titles of the degrees and their arrangement in the Southern Jurisdiction remains substantially unchanged from the beginning. The AASR does have its own distinctive versions of the Craft rituals (Entered Apprentice, Fellow Craft, and Master Mason), but most lodges throughout the English-speaking world do not confer them. However, there are a handful of lodges in New Orleans that have traditionally conferred the Scottish Rite version of these degrees. The AASR craft degrees are more common in Europe and South American jurisdictions. Most lodges under the jurisdiction of the Grande Loge de France use these degrees, as do a few of the lodges under the jurisdiction of the Grande Loge Nationale Française. It is a dominant ritual, out of the other rituals in use, in the Grand Lodge of Spain. There are two Lodges in Australia that practise the AASR Craft degrees, The Zetland Lodge of Australia No. 9 and Lodge France 1021, both of which are under the United Grand Lodge of New South Wales and the Australian Capital Territory. According to Masonic historian Alain Bernheim, Belgian Masonic scholar Pierre Noël demonstrated in a 2002 paper that the AASR Craft degrees derived from the French translation of the Masonic exposé Three Distinct Knocks, issued in London in 1760. There are records of lodges conferring the degree of "Scots Master" or "Scotch Master" as early as 1733. A lodge at Temple Bar in London is the earliest such lodge on record. Other lodges include a lodge at Bath in 1735, and the French lodge, St. George de l'Observance No. 49 at Covent Garden in 1736. The references to these few occasions indicate that these were special meetings held for the purpose of performing unusual ceremonies, probably by visiting Freemasons. :5 The Copiale cipher, dating from the 1740s says, "The rank of a Scottish master is an entirely new invention..."
The Ancient and Accepted Scottish Rite in each country is governed by a Supreme Council. There is no international governing body; each Supreme Council in each country is sovereign unto itself in its own jurisdiction. In Canada, whose Supreme Council was warranted in 1874 by that of England and Wales, the Rite is known as Ancient and Accepted Scottish Rite. The council is called "Supreme Council 33° Ancient and Accepted Scottish Rite of Freemasonry of Canada". Canada's Supreme Council office is located at 4 Queen Street South in Hamilton, Ontario. There are 45 local units or "Valleys" across Canada. When Comte de Grasse-Tilly returned to France in 1804, he worked to establish the Ancient and Accepted Scottish Rite there. He founded the first Supreme Council in France that same year. The Grand Orient of France signed a treaty of union in December 1804 with the Supreme Council of the 33rd Degree in France; the treaty declared that "the Grand Orient united to itself" the Supreme Council in France. This accord was applied until 1814. Thanks to this treaty, the Grand Orient of France took ownership, as it were, of the Scottish Rite. From 1805 to 1814, the Grand Orient of France administered the first 18 degrees of the Rite, leaving the Supreme Council of France to administer the last 15. In 1815, five of the leaders of the Supreme Council founded the Suprême Conseil des Rites within the Grand Orient of France. The original Supreme Council of France fell dormant from 1815 to 1821. The Suprême Conseil des Isles d'Amérique (founded in 1802 by Grasse-Tilly and revived around 1810 by his father-in-law Delahogue, who had also returned from the United States) breathed new life into the Supreme Council for the 33rd Degree in France. They merged into a single organization: the Supreme Council of France. This developed as an independent and sovereign Masonic power. It created symbolic lodges (those composed of the first three degrees, which otherwise would be federated around a Grand Lodge or a Grand Orient). In 1894, the Supreme Council of France created the Grand Lodge of France. It became fully independent in 1904, when the Supreme Council of France ceased chartering new lodges. The Supreme Council of France still considers itself the overseer of all 33 degrees of the Rite. Relations between the two structures remain close, as shown by their organizing two joint meetings a year. In 1964, the Sovereign Grand Commander Charles Riandey, along with 400 to 500 members, left the jurisdiction of the Supreme Council of France and joined the Grande Loge Nationale Française. Because of his resignation and withdrawal of hundreds of members, there was no longer a Supreme Council of France. Riandey then reinitiated the 33 degrees of the rite in Amsterdam. With the support of the Supreme Council of the Southern Jurisdiction of the United States, he founded a new Supreme Council in France, called the Suprême Conseil pour la France. This was the only one to be recognized by the Supreme Councils of the United States after it was designated in 1970 as the sole authority of the Scottish Rite for France by the Supreme Council of the Southern Jurisdiction (the oldest Supreme Council in the world) at the Barranquilla conference. The Suprême Conseil Grand Collège du Rite écossais ancien accepté (emerging from the Supreme Council of 1804 and constituted in 1815), affiliated with the Grand Orient de France. The Suprême Conseil de France (emerging from the Supreme Council of 1804 and restored in 1821 by the Supreme Council of the Isles d'Amérique founded in 1802 in Saint-Domingue, the modern Haiti), affiliated with the Grand Lodge of France. The Ancient and Accepted Scottish Rite was established in Romania in 1881, a year after the National Grand Lodge of Romania was founded. On 27 December 1922, the Supreme Council of Scottish Rite of Romania, received the recognition of the Supreme Council of France in 1922, and recognition from the Supreme Council, Southern Jurisdiction of the United States in 1925. Between 1948 – 1989 all of Romanian Freemasonry, including the Ancient and Accepted Scottish Rite of Romania, was banned by the Communist regime. The Supreme Council of the Ancient and Accepted Scottish Rite of Romania was reconsecrated in 1993. 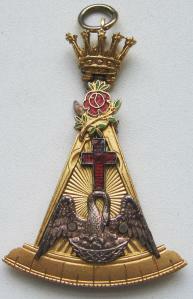 In England and Wales, whose Supreme Council was warranted by that of the Northern Jurisdiction of the USA (in 1845), the Rite is known colloquially as the "Rose Croix" or more formally as "The Ancient and Accepted Rite for England and Wales and its Districts and Chapters Overseas" (continental European jurisdictions retain the "Écossais"). England and Wales are divided into Districts, which administer the Rose Croix Chapters within their District; many degrees are conferred in name only, and degrees beyond the 18° are conferred only by the Supreme Council itself. All candidates for membership must profess the Trinitarian Christian faith and have been Master masons for at least one year. In England and Wales, the candidate is perfected in the 18th degree with the preceding degrees awarded in name only. Continuing to the 30th degree is restricted to those who have served in the chair of the Chapter. Elevation beyond the 30th degree is as in Scotland. In Scotland, candidates are perfected in the 18th degree, with the preceding degrees awarded in name only. A minimum of a two-year interval is required before continuing to the 30th degree, again with the intervening degrees awarded by name only. Elevation beyond that is by invitation only, and numbers are severely restricted. In the United States of America there are two Supreme Councils: one in Washington, D.C. (which controls the Southern Jurisdiction), and one in Lexington, Massachusetts (which controls the Northern Masonic Jurisdiction). They each have particular characteristics that make them different. Based in Washington, D.C., the Southern Jurisdiction (often referred to as the "Mother Supreme Council of the World") was founded in Charleston, South Carolina, in 1801. It oversees the Scottish Rite in 35 states, which are referred to as Orients, and local bodies, which are called Valleys. In the Southern Jurisdiction of the United States, the Supreme Council consists of no more than 33 members and is presided over by a Grand Commander. Other members of the Supreme Council are called "Sovereign Grand Inspectors General" (S.G.I.G. ), and each is the head of the Rite in his respective Orient (or state). Other heads of the various Orients who are not members of the Supreme Council are called "Deputies of the Supreme Council". The Supreme Council of the Southern Jurisdiction meets every odd year during the month of August at the House of the Temple, Scottish Rite of Freemasonry Southern Jurisdiction Headquarters, in Washington, D.C. During this conference, closed meetings between the Grand Commander and the S.G.I.G. 's are held, and many members of the fraternity from all over the world attend the open ceremony on the 5th of 6 council meeting days. In the Southern Jurisdiction, a member who has been a 32° Scottish Rite Mason for 46 months or more is eligible to be elected to receive the "rank and decoration" of Knight Commander of the Court of Honour (K.C.C.H.) in recognition of outstanding service. After 46 months as a K.C.C.H. he is then eligible to be elected to the 33rd degree, upon approval of the Supreme Council and Grand Commander. The Lexington, Massachusetts-based Northern Masonic Jurisdiction, formed in 1813, oversees the bodies in fifteen states: Connecticut, Delaware, Illinois, Indiana, Maine, Massachusetts, Michigan, New Jersey, New Hampshire, New York, Ohio, Pennsylvania, Rhode Island, Wisconsin and Vermont. The Northern Jurisdiction is only divided into Valleys, not Orients. Each Valley has up to four Scottish Rite bodies, and each body confers a set of degrees. In the Northern Jurisdiction, the Supreme Council consists of no more than 66 members. Those who are elected to membership on the Supreme Council are then designated "Active." In the Northern Jurisdiction all recipients of the 33rd Degree are honorary members of the Supreme Council, and all members are referred to as a "Sovereign Grand Inspectors General." The head of the Rite in each State of the Northern Jurisdiction is called a "Deputy of the Supreme Council." Thus the highest ranking Scottish Rite officer in Ohio, is titled, "Deputy for Ohio", and so forth for each state. Additionally, each Deputy has one or more "Actives" to assist him in the administration of the state. Active members of the Supreme Council who have served faithfully for ten years, or reach the age of 75, may be designated "Active, Emeritus". The Northern Jurisdiction Supreme Council meets yearly, in the even years by an executive session, and in the odd years, with the full membership invited. The 33rd Degree is conferred on the odd years at the Annual Meeting. In the Northern Jurisdiction, there is a 46-month requirement for eligibility to receive the 33rd degree, and while there is a Meritorious Service Award (as well as a Distinguished Service Award), they are not required intermediate steps towards the 33°. York Rite - An alternative group of Masonic appendant bodies. Grand College of Rites - An appendant body dedicated to preserving disused Masonic rituals and the rites of defunct Masonic societies. Rite of Memphis-Misraim - A European Masonic order dating from the 19th century, including degrees based on the three Blue Lodge and thirty three Scottish Rite degrees, as well as additional esoteric degrees. ^ "The Supreme Council". www.sc33.org.uk. Archived from the original on 29 September 2017. Retrieved 28 April 2018. ^ "How to Join - Scottish Rite of Freemasonry, S.J., U.S.A." Scottish Rite of Freemasonry, S.J., U.S.A. Archived from the original on 2017-07-03. Retrieved 2017-06-12. ^ "Become a member". Scottish Rite Omaha. Archived from the original on 2016-08-30. Retrieved 2017-06-12. ^ Coil, Henry W. (1961) Article: "Stuart Masonry", pp. 634–637; and Article: "Robison, John", pp. 569–570. Coil's Masonic Encyclopedia (rev. ed. 1996). Richmond, Va: Macoy Publ. Co. Inc.
^ Coil, Henry W. (1961) Article: "Lenning, C." pp. 377–378; and "Mossdorf, Friedrich", pg. 435. Coil's Masonic Encyclopedia (rev. ed. 1996). Richmond, Va: Macoy Publ. Co. Inc.
^ Mackey, Albert G. (1909) Article: "Stuart Masonry" pp. 981–982. Encyclopedia of Freemasonry (rev. ed. 1946). Chicago, IL: Masonic History Co.
^ Tailby, S.R. ; Young, Hugh (1944). "A BRIEF HISTORY OF LODGE MOTHER KILWINNING No. 0". Archived from the original on 2006-11-26. Retrieved 2007-03-30. ^ Coil, Henry W. (1961) Article: "Stuart Masonry", pp. 634–637. Coil's Masonic Encyclopedia (rev. ed. 1996). Richmond, Va: Macoy Publ. Co. Inc.
^ "BBC - History - James II". Archived from the original on 2017-06-19. Retrieved 2017-06-13. ^ "James II | king of Great Britain". Encyclopedia Britannica. Archived from the original on 2017-04-02. Retrieved 2017-06-13. ^ Coil, Henry W. (1961) Article: "Clermont, Chapter of", pg. 135. Coil's Masonic Encyclopedia (rev. ed. 1996). Richmond, Va: Macoy Publ. Co. Inc.
^ a b c d e Jackson, Alexander Cosby Fishburn (1987). Rose Croix: A History of the Ancient & Accepted Rite for England and Wales (Revised (Original 1980) ed.). London: Lewis Masonic. ISBN 0853181519. ^ a b c d e Fox, William L. (1997). Lodge of the Double-Headed Eagle: Two centuries of Scottish Rite Freemasonry in America's Southern Jurisdiction. Univ. of Arkansas Press. ^ "Dalcho Circular Creating the Supreme Council". scscottishrite.org. Archived from the original on 4 March 2016. Retrieved 30 June 2018. ^ de Hoyos, Arturo, Scottish Rite Ritual, Monitor and Guide 2d ed. (Washington, D.C.: Supreme Council, 33°, S.J., 2009), pp. 937, 938. ^ Morris, S. Brent (2015). "Henry Andrew Francken & His Masonic Manuscripts" (PDF). Heredom. 23: 107–114. Retrieved 30 June 2018. ^ de Hoyos, Arturo; Bernheim, Alain (Introduction) (2014). Freemasonry's Royal Secret: The Jamaican Francken Manuscript of the High Degrees. Washington, DC: Scottish Rite Research Center. p. viii. ISBN 978-0-9837738-6-3. ^ de Hoyos, Arturo, "Development of the Scottish Rite Rituals", in Scottish Rite Ritual, Monitor and Guide 2d ed. (Washington, D.C.: Supreme Council, 33°, S.J., 2009), pp. 109-118. ^ Coil, Henry W. (1996) . "Scottish Rite Masonry". Coil's Masonic Encyclopedia. Macoy Publishing and Masonic Supply Co., Inc. p. 614. ^ de Hoyos, Arturo (2010). "A Brief History of Freemasonry and the Origins of the Scottish Rite". The Scottish Rite Ritual Monitor and Guide (PDF) (3rd ed.). Washington, D.C.: Supreme Council, 33°, Southern Jurisdiction. p. 109. ISBN 978-0-9708749-3-1. Archived (PDF) from the original on 2015-11-23. ^ de Hoyos, Arturo, "The Union of 1867", in Heredom (Washington, D.C.: Scottish Rite Research Society, 1995), vol. 5:7-45. ^ "The Royal Arch". www.knightstemplar.org. Archived from the original on 2018-04-28. Retrieved 2017-06-13. 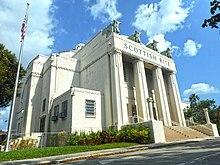 ^ "Scottish Rite of Orange County | What Is The Scottish Rite?". www.ocscottishrite.org. Archived from the original on 2017-08-21. Retrieved 2017-06-13. ^ de Hoyos, Arturo, Scottish Rite Ritual, Monitor and Guide 2d ed. (Washington, D.C.: Supreme Council, 33°, S.J., 2009), p. 114. ^ de Hoyos, Arturo, Scottish Rite Ritual, Monitor and Guide 2d ed. (Washington, D.C.: Supreme Council, 33°, S.J., 2009), p. 115. ^ Coil, Henry W. (1961). Article: "Pike, Albert" pp. 472–475. "Coil's Masonic Encyclopedia" (rev. ed. 1995) Richmond, Va: Macoy Publ. Co. Inc.
^ "Masonic Rites and Degrees Explained - Why the Scottish has 33 and the normal only 3 degrees?". DocumentaryTube. 2016-05-30. Archived from the original on 2017-06-02. Retrieved 2017-06-13. ^ "Scottish Rite Degrees". www.toledoaasr.com. Archived from the original on 2017-04-18. Retrieved 2017-06-13. ^ Scottish Rite, Northern Masonic Jurisdiction website: Frequently asked questions Archived 2015-06-23 at the Wayback Machine - "Are Scottish Rite degrees higher than those of a Master Mason?" ^ The Northern Light Magazine, November 2006; p. 6 "Ritual Changes." ^ A Bridge to Light, by Rex R. Hutchens; publ. 1995; 2nd Ed., 4th Printing, 2001; by The Supreme Council, 33°, Ancient & Accepted Scottish Rite of Freemasonry, So. Jurisdiction, U.S.A.; see also de Hoyos, Arturo, "Structure of the Scottish Rite" in Scottish Rite Ritual, Monitor and Guide 2d ed. (Washington, D.C.: Supreme Council, 33°, S.J., 2009), pp. 119-26. ^ Kirk White (15 June 2011). "DEGREES OF THE ANCIENT AND ACCEPTED SCOTTISH RITE OF FREEMASONRY OF CANADA (Excerpts from the Statutes and Regulations of the Supreme Council 33° of the Ancient and Accepted Scottish Rite of Freemasonry of Canada)". Archived from the original on 7 June 2011. ^ Keith B. Jackson, Beyond the Craft, 6th Edition, Lewis Masonic 2012 (ISBN 978-0853184058), p. 31. ^ Germania Lodge ASR Degrees "The Lodge works in the Scottish Rite Symbolic ritual - one of only ten Lodges under the jurisdiction of the Grand Lodge of Louisiana which work in this historic ritual. The ten Scottish Rite Lodges comprise the 16th District of the Grand Lodge of Louisiana." ^ Grand Loge de France FAQ "Q:"What rite is worked at the Grand Lodge of France?" A:As mentioned above, and like most Grand Lodges in the world, the Grand Lodge of France mostly works the three Craft (Blue) degrees of the Ancient and Accepted Scottish Rite (A&ASR). However some Lodges work the Rectified Scottish Rite and some work Emulation, the latter in English." ^ Bernheim, Alain (4 October 2003). "MASONIC AUTHORS - The bad, the good and the ugly". Pietre-Stones Review of Freemasonry. Retrieved 19 June 2018. ^ "Our Valley – Scottish Rite Temple, A.&A.S.R." wilmingtonaasr.ipower.com. Archived from the original on 2018-04-28. Retrieved 2017-06-14. ^ "About Scottish Rite". www.aasrcalgary.ca. Archived from the original on 2017-12-23. Retrieved 2017-06-14. ^ Boston, Scottish Rite. "Scottish Rite Boston". www.scottishriteboston.org. Archived from the original on 2017-03-02. Retrieved 2017-06-14. ^ Önnerfors, Andreas (May 2015). "Unveiling the Copiale-manuscript: layers of fraternalism, ritual and politics in eighteenth century Germany". World Conference on Fraternalism, Freemasonry & History: Research in Ritual, Secrecy, and Civil Society. doi:10.13140/RG.2.1.1397.1367. ^ Megyesi, Beáta. "Copiale cipher. Translation from German (August 2011)" (PDF). Uppsala University. Archived (PDF) from the original on 16 January 2013. Retrieved 2 November 2013. ^ "Scottish Rite, NMJ". Scottish Rite, NMJ. Archived from the original on 2017-08-21. Retrieved 2017-06-14. ^ "Welcome! - Ancient and Accepted Scottish Rite of Freemasonry of Canada". Ancient and Accepted Scottish Rite of Freemasonry of Canada. Archived from the original on 1 October 2017. Retrieved 28 April 2018. ^ Pierre Mollier, "Naissance et essor du Rite écossais ancien et accepté en France : 1804-1826", in 1804-2004 Deux siècles de Rite Ecossais Ancien Accepté en France, Dervy, 2004, pp. 70-113. ^ In the original: Le Grand Orient unit à lui. ^ The only known evidence of activity by this Supreme Council in this period is a rent receipt. Source: CG. ^ "Supreme Council of 33rd and Last Degree of the Ancient and Accepted Scottish Rite of Romania - SCAASR". scaasr.ro. 16 September 2016. Archived from the original on 19 December 2017. Retrieved 28 April 2018. ^ "Property Market in the South East - Bedsfordshire Property Times". www.beds-freemasonry.org.uk. Archived from the original on 22 August 2017. Retrieved 28 April 2018. ^ "The Supreme Council - Who Can Join". www.sc33.org.uk. Archived from the original on 17 September 2017. Retrieved 28 April 2018. ^ "Supreme Council for the Ancient and Accepted Scottish Rite". www.supremecouncilforscotland.org. Archived from the original on 15 March 2018. Retrieved 28 April 2018. ^ "Scottish Rite, NMJ". Scottish Rite, NMJ. Archived from the original on 2017-04-05. Retrieved 2017-06-13. ^ "The Scottish Rite Caps – Scottish Rite of Freemasonry". www.tulsasr.org. Archived from the original on 2016-01-13. Retrieved 2017-06-14. ^ Bremerton Valley of the Scottish Rite Archived 2006-05-04 at the Wayback Machine "Illustrious Brother James N. Reid, Jr., 33°, IGH, Personal Representative of the S.G.I.G. in the Orient of Washington"
^ Jacksonville Valley of the Scottish Rite Archived 2006-06-15 at the Wayback Machine " The Mission of Scottish Rite Freemasonry in the Orient of Florida"
^ "Valleys of the Northern Masonic Jurisdiction". scottishritenmj.org. Archived from the original on 19 October 2016. Retrieved 28 April 2018.